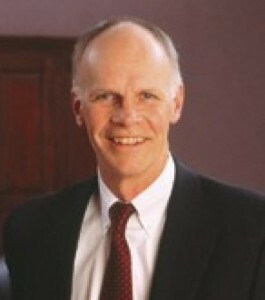 Thomas MacLeay is Chairman of the Board, President and Chief Executive Officer of the National Life Group and was elected to the Board in 1996. He served as president and chief operating officer of National Life from 1996 until his brief retirement in 2001, and returned to the company to fill the top executive positions, first on an interim and subsequently on a permanent basis. He joined National Life in 1976 and served in several investment management, corporate planning and financial roles before being appointed chief financial officer in 1991. Tom is also Chairman of the Board of Sentinel Group Funds, Inc. and currently serves on the Board of Directors of Chittenden Trust Company, the Life Office Management Association and the Central Vermont Economic Development Corporation, and is a Trustee and Chairman of the Finance Committee of the Air Force Aid Society. Macchia – Let me begin with a big thank you for your taking time for this conversation. I’m very appreciative, Tom. MacLeay – You’ve had some great interviews on the blog. Macchia – Thanks. It’s been a wonderful learning experience. Is it okay to begin? Macchia –To begin, would you be kind enough to describe your title and the specifics of your role at National Life Group? MacLeay – Okay, well, I’m Chairman of the Board, President and Chief Executive Officer, so basically I’m heading-up the holding company for our life insurance companies and our asset management group. Macchia – I’d like to ask you a little bit about the long-term and then the recent history of National Life. I know National Life as a company that for many years has been considered to be one of the top tier, most prestigious life insurance companies, one with a very long and fruitful history. Could you just talk a little bit about the history of the company, its beginnings and what has occurred- over not just decades- but even centuries? MacLeay – The company was founded in 1850, so it was one of the earliest life insurance companies in America and it was founded by a combination of a local doctor, by the name of Julius Dewey, who saw the need that families had when they lost a breadwinner. He teamed up with a group of prominent business people from New York and Boston who were looking to establish a life insurance company that was not focused locally or in a region, but had more a national scope. That founding group including people like Henry Clay of Kentucky and Henry Cranston of Rhode Island. This was certainly a group of very prominent business people. Interestingly, this company was founded with the notion of providing for death benefits. Not just in the local area, but across the country. In fact our first death claim happened in San Diego harbor when one person was traveling by ship to the gold rush in California. So, the roots of the company are strongly here in rural Vermont, but we’ve always had this kind of national vision. In its early days the company established agency operations virtually across the country and this was at a time that travel was very, very difficult and communications were slow and difficult. It’s really amazing to think about this today because I don’t know how long it took that claim to get filed or paid. Part of the story about that is that with that first death claim the company didn’t have a lot of capital at that point so the founders had to really scratch to make that claim and we’re very proud that they were able to do that. We’ve obviously reached or met all of our claim obligations since then. So, it started with that idea and then it grew over the years, and was a mutual company. For many, many decades, a century probably, the primary product was participating whole life insurance. A very strong career agency operation really flourished in the 50s, 60s and 70s as the products became a little more sophisticated and the growth of the industry really took place during that period, particularly in the upper end of the industry. More estate planning and sophisticated use of insurance and in fact, financed insurance was a big thing for this company early on. The company has also been known through the years as an innovator of products with lots of focus on the upper market and designing sophisticated products to meet the needs of that market. When the industry started to really transform from a whole life focus to the introduction of things like universal life and then variable life, National Life did not grow as fast in the 1980s and early 90s. In the mid 1990s National Life decided to diversify its products as well as its distribution. That’s when we started to not only sell through our career system, but also through an independent marketing organization. When these product innovations came out we did introduce universal life and variable and, in fact, our strategy today is to have a full complement of products. So we have fixed, variable and equity indexed versions of our universal life programs and we have variable life as well as traditional whole life, and really a mirror of that in the annuity market place. The strategy is that we know that each of those products has behind it a particular attractiveness to different market segments with different needs, but also that consumer desires change over time. We take a very long -term view of our business and feel that our job is to meet the needs of those clients and to provide the kind of solutions that are best designed to meet those needs – and that changes over time. So, we can’t say that we’re a whole life company and that’s it. Over the last 10 years we have diversified significantly both our products and distribution. In terms of the history of the company, part of that diversification was the acquisition of Life of the Southwest, which brought fixed annuity experience and the 403(b) market focus. LSW is also a product innovator and an early, early provider of indexed annuities, a consistent and long-term player in the marketplace. That’s been an important part of the organization for about 11 years now. We continue that product innovation push in those product lines where we think we can bring something to the market, most recently, indexed life, which we’ve had since 1998, I believe, but we came out with a new version last year and that’s gotten a very good reception. Macchia – Let me ask you this: when you have a board meeting and you sit in the chair as Chairman of a company now in its 16th decade, does the history and the lineage convey to you a special responsibility of honoring the past, and maintaining the integrity and bright outlook for the company going forward? MacLeay – Absolutely. The leadership roles in an organization like this are more stewardship roles. In other words, we have an organization that has been here a good time before us and our forward looking approaches- you know, we plan for a very long future- so the current leaders are really here to both build on that history and strengthen the organization, and will turn it on to the next generation of leaders at some point in time. There is a special obligation to an organization that has the kind of history or market presence that National Life Group has. It’s more of an obligation to further strengthen the organization and move it forward. Of course, a great benefit of being a non-public company today is that you can take that longer view. We’re very cognizant of the need to be as profitable as we can be, but that’s only to strengthen the organization, not to satisfy a Wall Street analyst. So we don’t look at monthly profitability as being something that is the metric. Well, that’s probably not true, we do look at it as a key metric, but we’re not under pressure to perform in that short term. Macchia –I’d like to come back to the corporate structure a little bit later, but one of the wonderful things that I’ve observed about the life insurance industry, in terms of some companies such as National Life, with such a long history, is that over a 150 plus years just about everything bad that can happen, happens. Whether it’s man-made disasters, wars, natural disasters, relative to anything that nature can conceive in a negative way, and to see the companies endure throughout all of these challenges is a very special thing and very noteworthy in our economy. I sometimes think that it’s underappreciated. Do you agree with that? MacLeay – I do. I think it’s hard for people to, in today’s world, necessarily think of an organization as being an organism itself. In other words most people think of organizations in terms of ultimate transaction. Founders, for example, if you found a company, the typical track is that you found the company, you grow it, you must have an exit strategy. You end up selling it or maybe it becomes an independent public company, for example, but you’re thinking is really limited somewhat to your own personal needs. Whereas leadership in these kinds of companies are thinking about bringing the company to the next level of performance and making sure that we are delivering the value that we deliver to our customers and really building and maintaining the relationships that last way beyond any one particular person. I think that’s very hard for most people to understand about these businesses. Macchia – For many years National Life was, as you indicated earlier, a mutual company. Then some years ago it made a decision to adopt the mutual holding company structure. I’m wondering if you feel that has given you the long-term view and staying power you need in the context of some who argue that size is all that matters and that smaller to midsize companies are going to be a challenged going forward, and you need $100 billion plus of assets to really be a strong player in the future. What’s your view on that? MacLeay – Well, first off, bigger can help, but it’s not by definition better. We look at that and say we think that the key to success is being able to provide products and services that deliver real value. If you can do that then you have the ability to be a competitor and an independent company. So the issue of size really comes down to the question of can the big companies leverage you or basically out-compete you, and the only way they could would be on price or reach. And so it creates a pressure for smaller companies because bigger companies can sometimes have more favorable price points, and it’s their time to grab market share. They can sometimes under-price products and gather market share. We have been in a consolidating business, but I don’t think that means that there are going to be three big life insurance companies in the United States because our market is really driven by relationships that people build one-on-one. Our business is so very, very personal. So it comes down to being able to provide the products that have real value and building the relationships that can connect the customer with the company through an intermediary. That intermediary is where a lot of us compete for the relationships that we know kind of drive the business. It’s kind of a long-winded answer, but we think that there is plenty of room in this country for companies who can be really good at a selected number of things and that being big gives you a little bit of credibility with the rating agencies and that kind of thing, but we’ve seen some pretty big, pretty bad companies over time. Not just in this industry, but in lots of industries. We think that we can grow and we need to grow. Back to the mutual holding company, we think that the mutual holding company is a great structure because it makes you more flexible with respect to financing and the ability to grow through non-organic means, doing acquisitions and things like that. But, it maintains at the core that it’s still a mutual organization, so what that means is that you basically reinvest the profits for the company in further growth and strengthening of the company rather than paying it out to some owner out there. We think that companies with a mutual structure are better for a long-term view than a public structure because in a public structure, frankly, money talks. At some price somebody can change your game. If you have an obligation to shareholders to do the right thing for shareholders, if you look out there today and see who the shareholders are and why they are shareholders, they are people who are making an investment and looking for a return. At any point in time there would be a price where that organization will be sold to some other organization to do with what they want if they have enough money to hit your price. A mutual organization doesn’t have that consideration. We are building the company for the benefit of policyholders over a very long period of time. It’s not a matter of if somebody comes in with the highest price tomorrow morning saying that that’s necessarily the best thing for all of our policyholders. Macchia – We’ve covered in great detail the past and the present. Now I want to ask you about the future. How do you personally see the outlook for life insurers over the next 5 to 10 years? MacLeay – Well, let me say first off that a lot of companies that we think qualify as life insurance companies in the US, particularly the big ones, are doing an awful lot more than life insurance in the U.S. I think people get a little confused about what some of the bigger companies really are. There’s a lot of opportunity and a lot of activity for those companies who chose to be international or global. Those opportunities in terms of the growth are bigger overseas than they are here. I think that the outlook for the U.S. market, in my view, is quite bright and it’s driven by this Baby Boom phenomenon. To which I have to say it’s kind of interesting how much press that is getting now because this has been the most predictable wave in our lifetimes, from the time we were born. At least I’m a Boomer. I’m kind of on the leading edge, I guess. This is not a surprise, but what’s different though is that the amount of press that the aging of the Baby Boomers is receiving, I think is a very, very good thing for the financial services business altogether, but for life insurance companies in particular. I think it’s not just for the reason that they are approaching retirement. If you think about it the Baby Boomers are now 44 – 62 and those are the sort of sweet spot years for everything that life insurance companies provide. Protection, accumulation, distribution, wealth transfer; all of these things are very important to people who are 44 – 62. When I think of the opportunity right now I think these people are now in their peak earning years. They are now barraged with information that tells them that they have needs that they may have been ignoring. What this does is sensitizes them and conditions them to have a discussion with a trusted advisor and develop some relationships. That trusted advisor we think of as a person, normally, but I use that even more broadly. What I feel is people now know that they have needs that they have either been ignoring or didn’t know they have, and that makes them a very, very good market for financial services companies and life insurance companies in particular. I see that as a huge plus and it’s not just about retirement distribution. It’s about understanding that you have these financial needs and there are ways to start your financial program to address those needs. Having said that, those needs are very personal, which means there’s not a one size fits all solution, which means you have to have the ability to do a comprehensive financial analysis, financial plan for individuals that have these needs. I further think that it’s not just the Baby Boomers that are now sensitized to that because younger people read the same publications and watch the same programs on cable and hear the same things and are barraged with the same things over the web or however they get their information. I think there is just a heightened sensitivity to financial needs and that to me puts in place something that’s really positive for life insurance companies in particular. There are plenty of risks and challenges when you think about that, but just the conditioning, the fact that the Baby Boom market is there and the entire marketplace is much more conditioned to talk about their financial situation and their needs. Macchia – I think that this is very important insight that you raise, and you hit upon a subject that’s very much a passion of mine right now, which is the notion of trying to help insurance companies realize their potential in this thirty- trillion dollar opportunity of Boomer retirement. That said, I can recall since entering the life insurance business in 1977 that, back then, insurers controlled the pension business in the US. They then seeded that business away to the mutual fund complexes, which came to market with an arguably superior model for the consumer, greater transparency and those trillions of dollars were lost. Now we see the large asset management firms with trillion dollar asset bases. The stakes for life insurance are very, very high in my judgment and what I try to focus on is quite vocally trying to publicize, in terms of essays in this blog, and also in other writing that I do in numerous journals, some of the inherent, almost disease state that exists in the insurance business. I feel as though if that disease isn’t cured the insurance industry is not going to seize upon the Boomer retirement opportunity in spite of the fact- as you correctly state- that its natural product set, competencies, and financial experience, would lead it to be the natural provider for this large group of customers. Do you ever think about that? Do you buy into what I am saying? MacLeay – Yes, I do. I agree that, number one, we used to control more of the pension assets and we lost that battle to the asset management companies. I would say that many of us have asset management companies primarily for that reason. The product sets that are offered by asset management companies and the whole notion of a simpler, more transparent product has really taken hold, obviously, and grown that marketplace. I know you’re well aware of how that has happened. Looking forward, the needs are similar, they haven’t changed, there’s just a better understanding of what those needs are. Some of those needs are well met by simple asset accumulation investment type product, but the ability to guarantee things and to pool risks is the domain of the life insurance business. The inner section of that core competency with the marketplace and communication of how these products and services fit people’s financial needs is kind of the area where I know that you’ve spent a lot of your time, and I agree, that’s where we have, in essence, fallen short. There are a lot of reasons for that, not the least of which I think, is how people get paid. I think that’s at the root of product pushes that are not necessarily in all cases well thought out and responsive to the customer’s needs or their situation. The industry has frankly struggled with how to be more transparent in what we’re doing. I believe that the products as we move forward, the kind of disclosures and transparencies that will be in the market will look much more like securities disclosures and so on. Technically, that information will all be out there, but it’s kind of like looking at a prospectus and a statement of additional information for a mutual fund. You can find anything you want, but customers don’t go there. So, who is actually making that interpretation is the advisor or wherever that communication link is happening. I think that’s where we have probably one of the biggest challenges. That is: how do we get that communication link that’s clear and in the customer’s best interest? I don’t have an answer for that, except that we try to be very specific in the way that we train people and the way that we roll out our products to make sure that they can be clearly communicated and we can identify those areas where the products really fit the best. It’s a big challenge and I think that especially on the leading edge of the Baby Boom you’ve got more traditional methods of one-on-one consultation and brochures for a lack of a better term. At the younger end, and the generations to follow, electronic communication is kind of the expected communication and paper is more to be thrown away then it is to be read or anything like that. I think part of the opportunity is to get that information, that set of information, whether it’s hard copy or electronic, get it to be able to be much more responsive to individual situations, and frankly viewed in a broader context than a single product sale. I think that the challenge for the industry is that a lot of the distribution and a lot of the sales efforts are for a particular product as opposed to creating solutions around a specific individual needs. I’m really talking about the upper-middle and upper markets. I think we’re talking a whole different challenge for the middle markets and down. There’s not enough money, there’s not enough incentive or reward for the kind of tailored response or tailored solution that I think you need in the upper markets. We do some in the middle markets; those are much more packaged. I think that those packaged solutions have to be clearly defined with the product features disclosed very carefully, and with as many tools, as many communications tools as you can, electronic as well as hard copy. Macchia – Let me ask you this Tom, because the magnitude of the Boomer opportunity is obviously apparent to sectors of the financial services industry beyond insurers. There is a competitive threat that I foresee to life insurance companies which may emerge in the next year or two or three. It’s the migration of structured products in the institutional market to the consumer market. There are large asset management firms that have been talking about this for some time. I heard a senior executive of a bank, a very large bank, say quite pointedly that he felt that insurance products were less likely to be used by his institution whereas a reliance on structured products in the future was where they saw their vision taking them. I asked Moshe Milevsky about this point specifically, recently. It was his projection that within the next couple of years there could be, perhaps, two dozen new players on the street offering products that directly compete with some of the individual annuities that life insurers offer. Is this something that you think about? If so, is it something that worries you? And if not, is it something that you think insurance executives should be worried about? MacLeay – Yes, I think viewed broadly the capital markets are very creative and very responsive to opportunity. When you think about our products which are basically financial promises, they are financial instruments that are of a long-term nature. There are a ton of very smart people sitting around Wall Street everyday looking for opportunities in that arena, so I think that it is definitely a trend or a risk, I guess. The other side of that is that I think that the more kinds of alternatives that get developed and the more people become aware of their needs and the alternative ways of solving those needs that creates, if you will, a bigger pie. I’m not as concerned that the capital solutions are going to come overtake life insurance, but we have to be equally as creative and responsive in terms of the things that we can provide. So, the short answer of your question is, yes, I see it, I think there’s something to it. What we have to be is looking for where is it that we can provide value. We can’t just play defense and say somebody has come up with a better solution for what we have a product for. We need to say where is it that we can provide better value, because frankly in any business at any time if you can’t provide better value, and that doesn’t mean necessarily just the dollar and cents part of the product, but the whole experience and the whole customer relationship and all. If you can’t, if you get people coming in and providing better solutions, then you better sharpen your game. I see it, but I’m not as concerned about it as a threat. I think it’s actually more of an opportunity to open a horizon that we haven’t opened up yet. Macchia – When I hear you use terms like responsive and creative it reminds me of another issue which is very close to my heart. It’s the assertion that I make that, in the final analysis, the winners in Boomer retirement are not going to be those which necessarily have the “best” product, but rather are those organizations that are the best, the very best, at communicating their value to a large and fluid marketplace. I wonder if you buy into my belief on this. MacLeay – Well, I would state it a little bit differently. I think that the winners are those who can connect the best to provide solutions that people need. I think we’re saying the same thing, but what you’ve done is focused on the communication link, and that is the connection. I don’t know that there is much of a difference to what we’re saying. I think of it more as, if people respond best to an individual sitting down with them and visiting with them each quarter and providing a set of recommendations, if that’s the way that people want to be served, that’s what we need to do in that segment. If there is another segment of people who says, I like to sit down at my computer, I’ll figure it out, then I like to be able to call somebody up and I like to be able to do this or that and then I like to be able to go someplace and figure out what all of my values are and all of that. So, to me, it’s not like there is necessarily one crystal clear answer, and in fact there probably isn’t because there are different sets of fluid markets. People think of the Baby Boomers like it is some kind of consistent group. All they are is a certain age, but there are all kinds of different sub-segments in there. I think the difference of what I’m saying is that there has to be, for a lack of a better term, mass-customized ways of dealing with different segments within the market. Those companies that are successful are those who are going to be able to make those connections in those segments of the market that have great opportunity for the organization. Macchia – I agree with your take on that, agree with you completely. When I see the fulfillment of what you just described, that vision, I see that it’s not possible to avoid the inclusion of technology to aid and abed intermediaries to better communicate with people. Do you agree with that? MacLeay – I do agree with that, absolutely. Macchia – Let me ask you about another issue that I’ve been very much focused on over the past year. Again, out of the desire to try to galvanize industry leaders into recognizing that there are some foundational problems within the industry that have to be addressed in order to set it on the right course to enjoy what should be its greatest business opportunity ever in terms of working with the Boomers. I’m describing the individual annuity business and specifically the sub-segment of that which would be the indexed annuity business. When I look at the indexed annuity I look at the essential, inherent value proposition and I say here is a vehicle that places an underlying guarantee under a principal asset, and also simultaneously provides upside growth potential. Then I think about that value proposition in the context of some of the that Moshe Milevsky and others have done- that the Retirement Income Industry Association has explored- which is this notion of the transition management phase where say roughly ten years before retirement to ten years after retirement, that during that 20 year period it’s critical to place underlying guarantee under the retirement asset, yet maintain upside growth potential. I say, oh my God, isn’t that a natural fit for the equity indexed annuity. Then we have the reality where we’ve seen the product morph since its introduction in 1995 from a 5 year contract which would be viewed as having obvious, strong consumer value to variations of that which have surrender charges as much as 25 years, loads as much as 35% or 40%, commissions as much as 20% or more. It’s one of the rare examples in modern financial services where a financial product is introduced and then dis-innovates consistently year after year. I wonder what you think about this. First, about the product’s inherent value proposition, and then what’s happened to the product over a decade plus? MacLeay – Well, I think the inherent value proposition, from my point of view, is that the opportunity is active. I still view it as a fixed annuity. The opportunity is greater return than a fixed interest annuity and the mechanics are, well, we know what they are, equity participation and underlying guarantee, but I think of it more as a higher potential fixed return. I think in some ways some of the issues around the product and some of the concerns that the FCC and the NASD have with it are that these returns are dependent upon stock market movement. We’re careful when we talk about them to think more in terms about them than to think more in terms of the potential for a greater fixed return because it’s a guaranteed product. It has an interest return and not a change in underlying principal value. That may be too technical, but it’s another way of looking at it and we have been in the business since 1996, so we’ve seen all this. Our products have evolved to remain competitive and I think that what it is, is those changes that you mentioned are a change of the reflection of the power of distribution, the power of people who can get out and make the relationships they do in order to sell the products and that’s what’s driven it. It’s not like companies are saying, gosh, we should pay 20% commission on this. It’s been that tremendous battle in the market place for those folks who are successful at reaching people that have a need for product like this and the leverage that they have coming back, and that’s driven a lot of that. We were an early provider and we were in the top 10 companies for the first few years and then we dropped out of the top 10 for a long time and we’re not back. The reason is simple. It’s because we’re not going to play those games of pushing product features and commissions and all that beyond the point of reasonableness. I think it’s a great example, but it’s not the only example. Many products in our business, when they are innovative and when they are first introduced, have very strong features and then those features and structures get competed away in the market as the folks who are in the distribution end demand more of a bigger piece of the pie, they get a bigger piece of the pie. Macchia – The power of distribution to alter an insurance company’s behavior, even when it’s working against its own self interest, I think, has been proven beyond doubt, certainly with this example. It leads me to think about the future and where the real opportunity is. That is, if I try to think back over my own career, which has been somewhat unique, Tom, in the sense that I spent many years in the distribution business as an agent, as an agent trainer, as an agent manager, recruiter, IMO principal for two large IMOs, simultaneously for the last 20 plus years as a marketing consultant. I see that the root problem is that over the past 25 or 30 years agent productivity has consistently fallen off. When I started in the insurance business I was told that the smallest acceptable productivity that I could have was one sale per week. There were many people in the agency where I was recruited that sold 2 and even sometimes 3 policies per week. These days there are agents who make a respectable living on 3 sales per year. The lack of productivity has caused agents to continually and more aggressively seek out products that pay higher and higher individual commissions, which has forced the companies to design products that have been less and less consumer oriented, which to a large extent has put us in the bad position where the industry finds itself. So, I believe that where a splendid opportunity exists for insurers is to do some imaginative and creative things that help agents increase the volumes that they are able to sell, so that they don’t have to make as much individually on each sale, but still can earn a very respectable living and stay in the business over the long term. That can’t happen in my judgment unless there’s a wholesale change in the way that agents communicate and prospect with clients with a heavy reliance with creative and compliant technology to help them. I’m wondering if you buy into this vision. MacLeay – Well, I’ll tell you, David, one of the very consistent things that I see, which is probably not obvious until you see it enough times, is the motivation often in agents and field reps is more around points then it is about dollars. It continues to amaze me that your point is if you could increase the volumes obviously you don’t need to pay as high of points of commission or whatever it is, but the world out there is still very points driven so you talk to people about a contract that has huge consumer appeal and low commissions in terms of percentages per point. How many examples have there been out there of these things that just don’t go anywhere because people in the field forces seem to be so hung up on, you can give me a contract that has 8 points for an annuity, that’s got to be better than 4. Well, no it doesn’t. Four could be a heck of a lot better if the product was really much more consumer friendly and was supported in a way that was selling in huge volumes. Some people get that, but most people don’t. It’s very, very frustrating. Macchia – I would think that part of the reason that we have this reaction is that it’s not enough; I think it’s manifestly proven that it’s not enough to put a superior product in the producers’ hands. You have to put an infrastructure and a context around that product that enables him or her to market and sell it successfully in higher volumes. I think that’s what’s been the missing element up to this point. Which reminds me of another thing that I think is going to happen and I’d like to know if you agree with me. The industry right now is beset with a number of challenges in terms of potential financial liability. Because of the sales of some of these products that are really anti-consumer, you’re well aware of the fact that some class action suits have been certified against large annuity providers. The implications of these financial liabilities run into the hundreds of millions of dollars, perhaps even billions of dollars, and could make a market change in the way things happen. I think what this proves is that for an insurance company to be a quote, unquote manufacturer and put products out into the hands of its agents and then rely upon those agents to self-create the way that they sell those products. Realistically there is no way to provide oversight and the insurance company cannot know what expectations the client is receiving out of that process and can’t really know what he agent in saying. Over a channel of 1,000 or 2,000 or 10,000 agents you literally could have 10,000 different explanations of a product. What’s going to have to happen in the future for the company to protect itself and its agent is that products are going to have to be introduced simultaneously and linked to a context that is compliant from the very beginning, that consumers can understand in a fair and balanced manor, and from that can get realistic product performance expectations. This comes again out of the creative utilization of technology and media, which is largely not being done right now. I see this as a solution of a myriad of problems, especially this one of cleaning up the problem where agents are explaining products with such great variability that the insurance company is unable to have a consistency of message. I’m wondering if you buy into my vision of this and if so, why? MacLeay – I think you raise an excellent point. I think that the solution to it is very complicated. I agree with philosophically with what you’re saying. I think it’s going to be a long and difficult road. I still think that the primary thing that people need is that advisor, you know, that person that they are talking to, has to be delivering a message that has their interest at heart and is responsive to their needs. This happens a lot and I think that by and large our industry has been very good at that and then you have this other situation which is really the product push type sale where you say, my job is to sell anybody who breathes this product this afternoon. Well, none of the products today are that generic. I guess term insurance might be. But, these products are only really suitable in certain situations and they are very good at doing certain things. How do we get people to communicate those to make sure that they are offered to the right people for the right reasons? I do agree with you that that is a huge communication challenge that is going to become more and more driven by the life companies and the product providers because they are the ones that have the deep pockets that have to pay up at the end of the day in these class actions or whatever happens. I think that generally I agree with you. I think it’s a huge challenge. We have, in our history, when you have a career agency system you are able to deal with that a bit better, and it’s the reason by the way that we deal with marketing organizations rather than just general, broad brokerage, one-off situations. Because we know it’s important that people understand what the products are, where they are useful and where they are appropriate and where they are not. You are absolutely right. We are going to need much better communication capability and the technology has got to be part of this and we, of course, as everybody is, we’re doing a lot of that with everything, product rollouts, all the rest of that, tools that we have, compliance cleared tools to use with customers to describe products and where they are appropriate. Macchia – My wife is going to be pleased with your answer given all of our money that I’ve invested in this belief. MacLeay – I think it’s true. Some things are obvious, but not easy. It’s pretty obvious, but it’s very, very difficult to implement and to use consistently. What it comes down to is that you have to have good, honest people trying to do good things for the folks that they are working with. I’m not discouraging anybody here, but that’s really what it comes down to and any time that you’re totally driven by your pocketbook or whether you make the next sale or not that’s what leads to the problem, that’s what leads to pushing products where they don’t belong. Macchia – Tom, this has been very enlightening and enjoyable. I think I’d like to ask you a couple of personal questions, if you don’t mind. The first one is, if I could somehow convey to you a magic want, and by waving this magic want you could make any two changes in the financial services industry that you wish. What would they be? MacLeay – Oh…the magic wand question, huh? Okay. Well, I guess the first one would be to have people more receptive to planning their financial needs. Particularly in respect to life insurance. Life insurance is a fabulous product, it’s way under-penetrated in our market and it’s too hard to sell and it shouldn’t be. It’s something that people need and if we could wave the magic wand and have people wake up in the morning and say, I do need that, I do want to talk to someone about that, and I do want to act on it. I think that would be very positive, and not just in terms of being self serving as a life insurance company, but it would help a lot in a societal sense as well. So that’s magic want number one. And magic wand number two, I guess is if we could connect better. You’ll like this answer David. People need advice, they need to trust someone. I’m talking broadly. I’m not talking just about National Life or life insurance agents. But if we could wave a wand and people could figure out that they can make this connection, I think that would be a huge plus for the industry overall because I do think that life insurance on the one hand, but even more broadly in financial services, there are many more solutions or way more things that we can do to help people if they were open to it. Macchia – That’s a wonderful answer. Let me ask you the next personal question which is, if you were not the Chairman, President and CEO of National Life Group and you could be anything else in any other field, what would you choose to be? Macchia – Take your time. There’s no wrong answer. MacLeay – I know, but there are so many possibilities. It’s tough; I would say if I could do anything it would be something that had a significant value to people somehow. I don’t see myself as a social worker, you know? Let me keep mulling this one over. Macchia – Alright. Here’s the next one. I want you to imagine your own retirement in its most conceivable ideal and perfect form. Where will you be and what will you be doing? MacLeay – I will be here. I’ve grown up in Vermont. I will be doing a lot of traveling. We’re part of a community, we like being part of a community, we’ll continue being part of a community and I think one of the dangers of retirement is going off somewhere and being behind a gated community and then trying to figure out what you’re doing there. We might have another location at some point, but I would be based out of home, as home is important and relationships are important and we’ll be very active with our family as well. We would be using travel as a way to get involved in things. Some of that travel may be many, many months getting involved in something. I don’t see sitting around playing golf forever as an idea. Macchia – Good answers. I’ve got to tell you. This has been a magnificent interview. Very enlightening for me, and I can’t thank you enough. I’d love to catch up with you for a lunch or dinner the next time you’re in Boston. MacLeay – We’ll do that. I get down there once in awhile. Macchia – Thanks, again, Tom. ©Copyright 2007 Daviod A. Macchia. Al rights reserved.